In-state tuition got more expensive for Kansas college students, as both the University of Kansas and Kansas State University announced increases in semester tuition fees, effective in the fall of 2011. KU’s tuition increased to $4,012 per semester, $306 or 8.2 percent more than the previous amount. 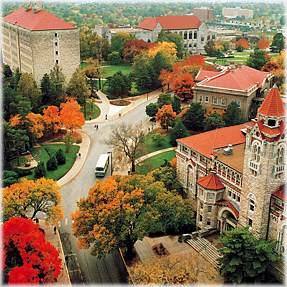 Kansas State’s tuition increased by $253, or 7.4 percent, to a semester fee of $3,688. KU offers a program known as KU Compact, which allows students to pay one non-adjustable rate for all four of their years at the University. Tuition for this program increased $263 up to $4,366 per semester. The program allows students and families to pay more money now but avoid the possibility of higher tuition in the future, possibly a smart move as college tuition rates have been steadily increasing nationwide. Despite both major public universities increasing tuition, Kansas residents still enjoy having colleges with some of the lowest tuition rates in the nation. KU is routinely listed on many pundits’ “Best Buy” lists, while Kansas State offers a lower tuition fee than KU. Tuition increases have become normal for both public and private universities nationwide. With affordable options throughout the state, Kansas residents are presented with many options those in other states are not able to enjoy.